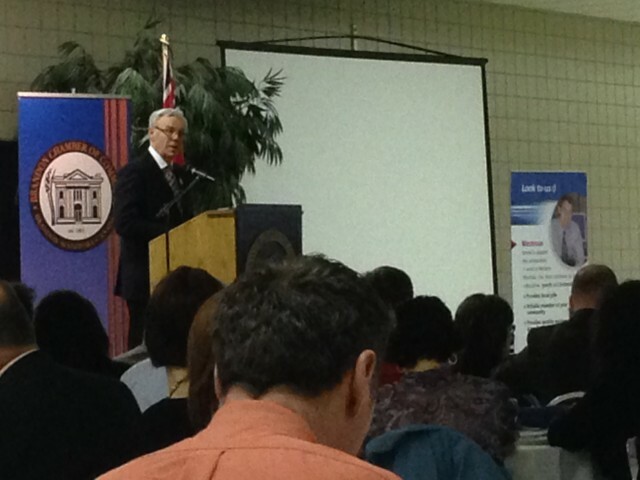 On April 24, 2014 at the invitation of the Premier’s Economic Advisory Council chair, Pat Britton and Dr. Bill Ashton (Director) attended the state of the province address by the Premier Greg Selinger. Topics on the Premier’s address were familiar to the research activities of the Rural Development Institute, including the importance of immigration for growth, the key roles of infrastructure and flood protection investment for economic development, and revenues from clean hydro and innovation by businesses. The Premier also highlighted the role of the food sector, along with manufacturing. All are integral to the prosperity plan put forward at today’s luncheon.